Welcome to the Energy Experts, a new professional designation of Alicia Air. Established in 1980, Alicia Air Conditioning & Heating is Orange County's premier full service, factory authorized Carrier dealer providing comprehensive Carrier sales, installation, maintenance, and repair services to Coto De Caza homeowners. 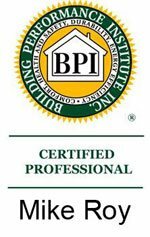 During our over three decades of experience, we have performed our exceptional quality HVAC (heating, ventilation, and air conditioning) services for thousands of satisfied residential clients throughout Orange County, and are now proud to add the designation of Carrier Certified Energy Expert to our extensive list of professional credentials. As a Carrier Certified Energy Expert, we take a whole home, "house-as-a-system" approach to HVAC (heating, ventilation, and air conditioning) systems, taking into account several factors before performing our exceptional quality HVAC system installation, maintenance, and repair services. As a Carrier Certified Energy Expert, we perform a comprehensive Carrier 360° Whole Home Energy Audit, during which we evaluate several crucial factors to residential heating, cooling, and ventilation system efficiency. In our commitment to this approach, the Energy Experts at Alicia Air seek to provide the optimal heating, cooling, and ventilation solutions for our valued Coto De Caza residential clients, solutions which take into account not only their year round comfort level, but also their health and wellbeing, as well as their concerns with saving as much money possible on their monthly energy bills. Call the Energy Experts at Alicia Air today from Coto De Caza with any and all home heating, cooling and air quality concerns you may have. We service all of Orange County and surrounding areas, and are licensed, bonded, and insured. Then after this thorough analysis, we have the information we need to recommend any needed services to resolve problems with these vital components of your Coto De Caza home heating, cooling, and ventilation systems, such as providing additional home insulation, ductwork repairs or replacement, or equipment which will correct indoor air quality issues. Indoor air quality is an issue of concern for many Coto De Caza homeowners, because their family members are suffering from medical concerns such as allergies and asthma, and poor indoor air quality is a contributing factor to these conditions. It has been found that 90% of homes have both leaky thermal envelopes (composed of a structure's roof, walls, floors, windows, and doors), and also leaky ductwork. Both of these systems are an identifiable sources of poor indoor air quality problems, and both can be corrected by taking simple measures such as installing additional insulation, and duct sealing or replacement. In addition, sometimes the installation of ventilation, air filtration, and dehumidification systems can resolve indoor air quality problems. At the Energy Experts (Alicia Air Conditioning), our comprehensive, 360° Whole Home Energy Audit helps us to accurately identify the source of indoor air quality issues, so that they can be resolved for our clients in the most efficient, cost effective manner possible. Don't let your household continue to suffer from troublesome indoor air quality issues, call the Energy Experts at Alicia Air today. As part of our whole home approach to residential HVAC services, the skilled technicians at the Energy Experts (Alicia Air Conditioning) can perform expert home insulation services, in order to resolve air infiltration and exfiltration problems in Coto De Caza homes. Air leakage often occurs in under insulated attic spaces, around envelope penetrations such as can lights and register seals, and through poorly insulated or uninsulated ductwork, which is a major source of air leakage in homes that contributes greatly to heating and cooling system inefficiency. At the Energy Experts, the goal of our insulation services is to eliminate this air leakage, for optimal HVAC system performance and maximum energy savings. Call us today to ensure that your home heating, ventilation, and air conditioning systems are functioning at peak performance, for a comfortable home year round. At the Energy Experts (Alicia Air Conditioning), during the performance of our comprehensive whole home energy audits, we thoroughly test our Coto De Caza clients' home ductwork systems for efficiency, so that we can recommend the most cost effective ductwork insulation, repair, design modifications, or ductwork replacement services in order to achieve the most effective ductwork system performance possible for our valued clients. Building scientists at the Department of Energy have determined that the average home ductwork system loses 25 to 40 percent of the conditioned air produced by a home furnace, heat pump, or air conditioner before it ever reaches the living space within the home, making ductwork leakage a very expensive home HVAC system problem. At the Energy Experts (Alicia Air Conditioning), we can effectively correct any ductwork system leakage in Coto De Caza homes, for optimal home comfort and energy efficiency. At Energy Experts (Alicia Air Conditioning), our house-as-a-system approach to home HVAC (heating, ventilation, and air conditioning) systems involves a comprehensive program of leak testing throughout the home, performed in strict compliance with the energy audit standards established by the Building Performance Institute, our nation's premier standards development and credentialing organization for residential energy efficiency retrofit work. During our inspection, we test for air leakage through Coto De Caza home thermal envelopes, ductwork systems, as well as gas, oil, propane, or carbon monoxide leaks from combustion appliances. Trust the experienced HVAC professionals at Energy Experts (Alicia Air Conditioning) to install your new high efficiency heating or cooling system. At Energy Experts, we are dedicated to doing as much as we can to promote environmentally conscious energy consumption practices, and for this reason, we endorse the Environmental Protection Agency's Energy Star program, which labels high efficiency heating and cooling equipment which meets their stringent energy efficiency standards. And at Energy Experts, we proudly recommend Energy Star labelled HVAC (heating, ventilation, and air conditioning) systems to our Coto De Caza clients who choose to install new HVAC systems in their homes. By entrusting the Energy Experts at Alicia Air to install their new energy efficient Energy Star labelled heating, ventilation, and air conditioning systems, our clients are doing their part to help protect the environment, as well as enjoying significant savings on their monthly heating and cooling bills. Experience the difference of a whole home approach to residential heating, cooling, and ventilation services in your Coto De Caza home. 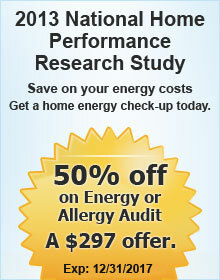 Call the Energy Experts at Alicia Air today. We service all of Orange County and surrounding areas and are licensed, bonded, and insured.